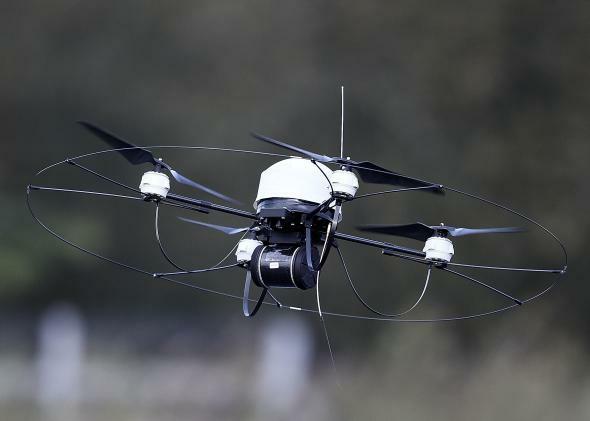 French authorities don't know who is flying drones around seven nuclear plants. Would you want something like this flying over your nuclear plant? People are using drones for such fun, useful, and smart things that the devices have started to seem almost innocuous. But what’s that nagging concern? Oh right, unwanted and inappropriate surveillance. France knows all about that now. Between Oct. 5 and 20 people reported unidentified drones flying around seven of the country’s 58 state-owned nuclear power plants. In a press conference, French Minister of the Interior Bernard Cazeneuve said that the drones were small, commercially available models. “There are measures that exist to neutralize these drones. I won’t dwell on exactly how they work because I don’t have to,” he said (as translated by BBC News). If he sounds kind of defensive about the situation, it’s probably because the French government has no idea who is sending the scout drones out. At first it seemed like it might be activists from Greenpeace, who have used diverse approaches like paragliding to try to gain access to the plants in the past. The group denies that it’s behind the drones though. But Yannick Rousselet, a nuclear campaigner for Greenpeace France, did say that, “It is apparent that you can enter the airspace around these French nuclear stations, get in, and get out, without anyone intervening. It’s a real breach of security.” Yeahhh. French law prohibits aircraft from flying within one kilometer above the nuclear stations, but the government also claims that the drones buzzing around are too small to be a real threat. Be that as it may, Cazeneuve says that the government is doing a thorough investigation.